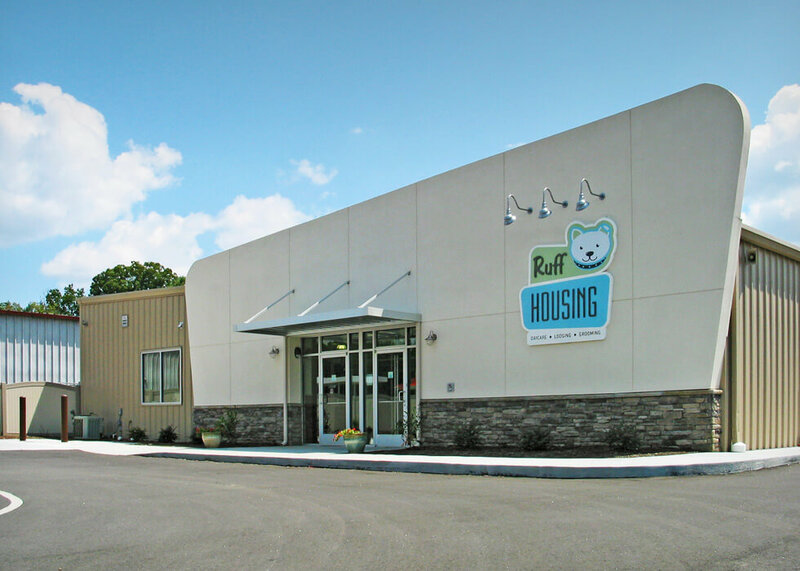 Ruff Housing - Systems Contractors, Inc.
Ruff Housing offers doggy daycare and boarding in three locations; two in Winston-Salem and one in Greensboro. Pet facilities like this often have concerns with humidity and odor control and the Ruff Housing owners were no exception. SCI’s team assessed the buildings and designed a system that consisted of rooftop units for humidity control, energy recovery units and return vents located close to the floor. This customized system is energy efficient, controls humidity levels inside and provides an ample supply of fresh, odor free air throughout the space. The end result is happy customers; four-legged and two-legged alike.